Time for 3DS owners to get a little zen. Today Zen Studios announced that their Wii U arcade throwback, Star Wars Pinball, will be coming to Nintendo 3DS handhelds on September 19th. The Wii U version released back on July 11th and was received very positively by this one reviewer, who seems like a great guy. The 3DS version will include all the same tables that the Wii U version possessed, which are StarWars Episode V: The Empire Strikes Back, Boba Fett and Star Wars: The Clone Wars. 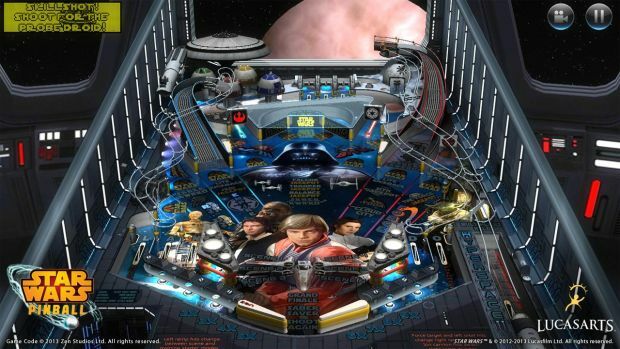 Star Wars Pinball on the 3DS takes full advantage of the system’s 3D display capabilities, providing exciting 3D pinball action. Zen Studios took extra time and effort to make sure each Star Warspinball table was given the proper treatment to really showcase top tier 3D entertainment. As previously shown by my review, I was (surprisingly) quite the fan of Star Wars Pinball so it’s nice to see it landing on more platforms. You can purchase Star Wars Pinball on the 3DS eShop for $6.99 come September 19th.